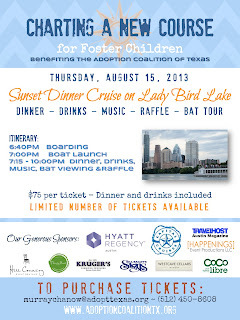 Enjoy a night out and support the Adoption Coalition of Texas on August 15! 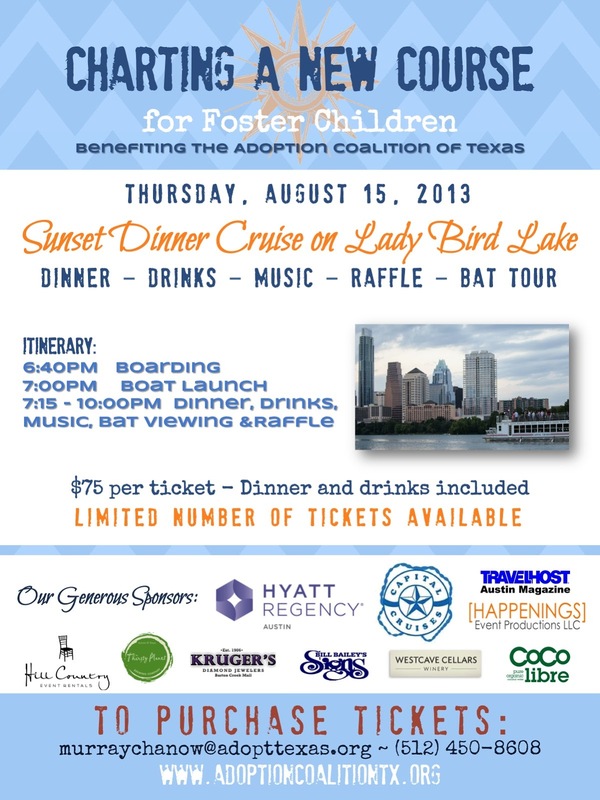 This fun event includes dinner, drinks, music, a bat tour and raffle as you cruise on Lady Bird Lake. Proceeds go to the Adoption Coalition of Texas, which works to find home for children in foster care. The Adoption Coalition of Texas is a public/private partnership of nonprofit adoption agencies and Child Protective Services working together to find forever families for older children, sibling groups and children with special needs, often referred to as forgotten children. Seats are limited to get your ticket today! Check out the Adoption Coalition of Texas website here.